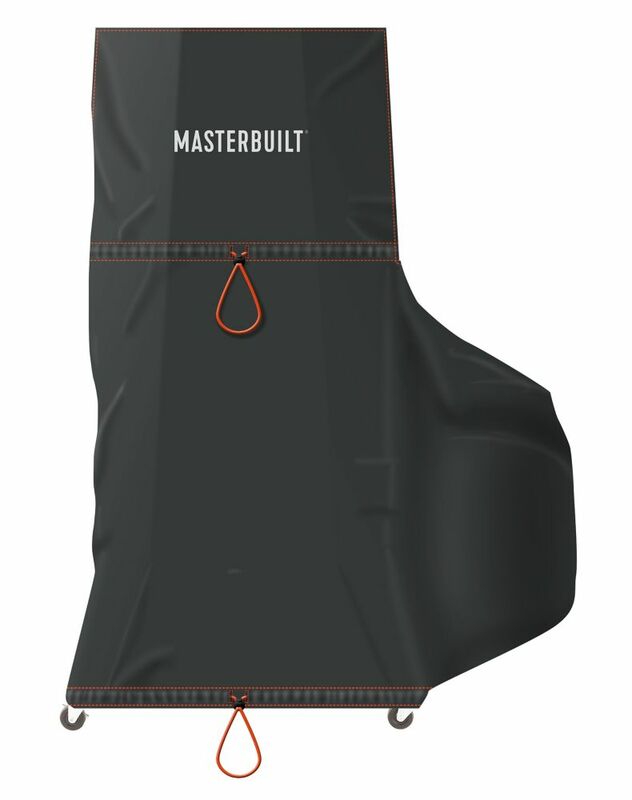 Protect your Masterbuilt Propane Smoker or Masterbuilt XL Pellet Smoker with this weather-resistant cover. Two cinch cords with locking toggles secure the cover while protecting the smoker and propane tank or pellet hopper from dust, debris, and harsh elements. Master the art of smoking with Masterbuilt. 90-Day Warranty Call 1-800-489-1581 for complete warranty details, parts and installation inquiries. Finally, a smoker cover. Hickory's tough Weather 10 fabric offers rugged good looks while providing years of protection. Fits square smokers up to 16 inches L x 21 inches W x 39 inches H.
65- inch x 21- inch x 40- inch. PEVA/Polyester grill covers. Durable and weather resistant PEVA outer shell with 500 x 300d polyester lining. Hook-and-loop closures and hanging loop. 70- inch x 24- inch x 40- inch. PEVA/Polyester grill covers. Durable and weather resistant PEVA outer shell with 500 x 300d polyester lining. Hook-and-loop closures and hanging loop. 54-inch XL Propane and XL Pellet Smoker Cover Protect your Masterbuilt Propane Smoker or Masterbuilt XL Pellet Smoker with this weather-resistant cover. Two cinch cords with locking toggles secure the cover while protecting the smoker and propane tank or pellet hopper from dust, debris, and harsh elements. Master the art of smoking with Masterbuilt. 54-inch XL Propane and XL Pellet Smoker Cover is rated 4.7 out of 5 by 15. Rated 5 out of 5 by George from The cover helps to protect the smoker. I like... The cover helps to protect the smoker. I like it because I can cover the gas tank as well. Rated 5 out of 5 by JD from Fits perfectly and pull tight elastic drawstrings keep the cover... Fits perfectly and pull tight elastic drawstrings keep the cover secure during the wind and rain! Rated 5 out of 5 by grillcover from I have a big masterbuilt smoker that is 50" tall and this fit perfectly. The material is strong a... I have a big masterbuilt smoker that is 50" tall and this fit perfectly. The material is strong and durable. Rated 1 out of 5 by Jay from It doesn’t work!!... It doesn’t work!! Rated 5 out of 5 by Sherrie from It was great to find a cover that covers the... It was great to find a cover that covers the entire smoker, legs and all.